Without question, the domesticated hybrid yeast that gives us lager beer is an organism worth many billions of dollars. Beer is the world's most commonly fermented beverage and lager beer commands 94 percent of the global market. Making the beer possible is a biological oddity: a hybrid yeast that combines two distinct species and confers the ability to make cold-brewed beer, a product that first emerged 500 years ago in Europe. But just how Saccharomyces cerevisiae, the well-known domesticated yeast that gives us wine and bread, combined with Saccharomyces eubayanus, a yeast species only recently discovered in nature, to give us the hybrid organism that makes cold-brewed beer remains a mystery. In recent years, science has chipped away at the puzzle, first discovering S. eubayanus living in tree galls in the wilds of Patagonia. The discovery of the first wild population of S. eubayanus, of course, inspired creative hypotheses about how a yeast from South America found its way to a Bavarian cellar for a fortuitous marriage of two distinct yeast species. Coincident with the advent of lager beer was the Age of Discovery, the time of extensive overseas exploration by Europeans, lending to speculation that S. eubayanus may have hitched a ride to Europe on a caravel. But since the first discovery of S. eubayanus in 2011, the organism has begun to turn up in places as far-flung as Wisconsin, North Carolina, Washington state, New Zealand and Tibet as scientists are learning where and how to look for it. However, in Europe, the place where S. eubayanus made its mark, the only trace of the organism so far lies in the domesticated interspecies hybrids of S. eubayanus and Saccharomyces cerevisiae. "It doesn't make a lot of biogeographical sense," explains Chris Todd Hittinger, a University of Wisconsin-Madison professor of genetics and one of the discoverers of the first Patagonian strain of S. eubayanus. Now, Hittinger and colleagues, including UW-Madison's David Peris and Quinn Langdon, conclude in the July 6, 2016 edition of the journal PLoS Genetics that the story of hybridization that produced the lager yeast is far more complex and potentially richer than first imagined. The findings are important as yeasts are critical to many industries. Beyond brewing, they are important to fermenting other foods, making drugs like human insulin, and producing new biofuels. 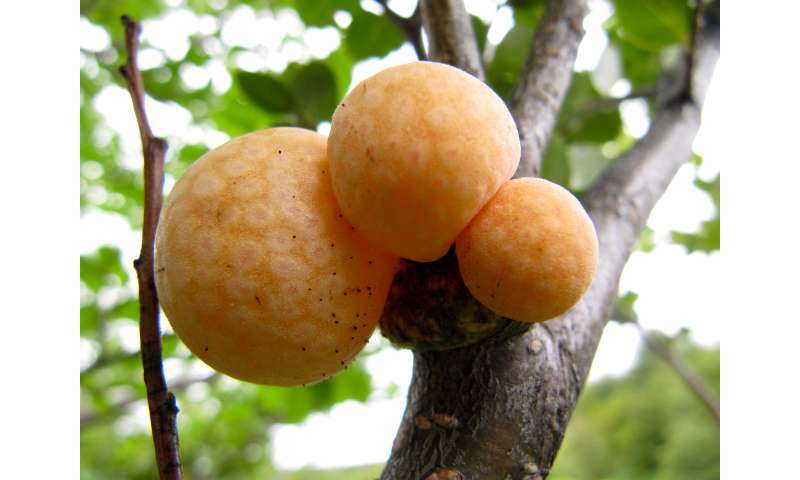 Knowing how yeasts might naturally combine to create a valuable organism like the interspecies lager hybrids may one day permit scientists to mix and match organisms to create other high-value yeasts. "The message is that this is a far-flung, geographically and genetically diverse species," says Hittinger, whose group has been combing the genomes of the newly-found strains of eubayanus in an effort to detail and trace the ancestry of the yeast, and complete the story of how the interspecies lager hybrid came to be. "In South America, (S. eubayanus strains) are very prevalent and very diverse," says Hittinger, noting that the organism is most often found in association with plants—trees in particular. Exploring the genomes of the domesticated hybrids, the Wisconsin group looked for genetic sequences, signatures, that might lead them back to one or more of the S. eubayanus strains scientists have been finding in nature. "The domesticated strains still have enough diversity so we can detect (genetic) contributions made by different eubayanus lineages found in nature," notes Peris, a postdoctoral research associate in Hittinger's lab. The more recently discovered strains from the Northern Hemisphere—North Carolina and Tibet, in particular—seem to be the closest relatives to the domesticated S. eubayanus half of the lager hybrid, says Langdon, a National Science Foundation Graduate Research Fellow in the Hittinger lab. This revelation, according to the UW-Madison researchers, suggests that turning over more rocks in the Northern Hemisphere will ultimately lead to a better understanding of the natural history and genetic diversity of this economically important yeast. More generally, it may better explain how new yeasts can be tamed to yield important industrial products. "By understanding the process of domestication, we can learn to make new strains that are industrially important," says Peris. "We are finding more diversity and we can apply that diversity to innovate." Tibet? It must've been the Mongols then.